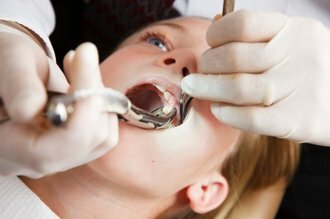 Dental extractions are a fairly common procedure. If a tooth becomes painful, or it is not able to be restored due to a cavity, it may need to be extracted. Before we extract a tooth, we thoroughly review your general health, and evaluate the situation. We will anesthetize the area, and not begin treatment until there is profound anesthesia. The tooth will be removed, and you will be given post-operative instructions to better help with post-operative home care. We will check on you the following day via phone call or text to ensure you are doing well!